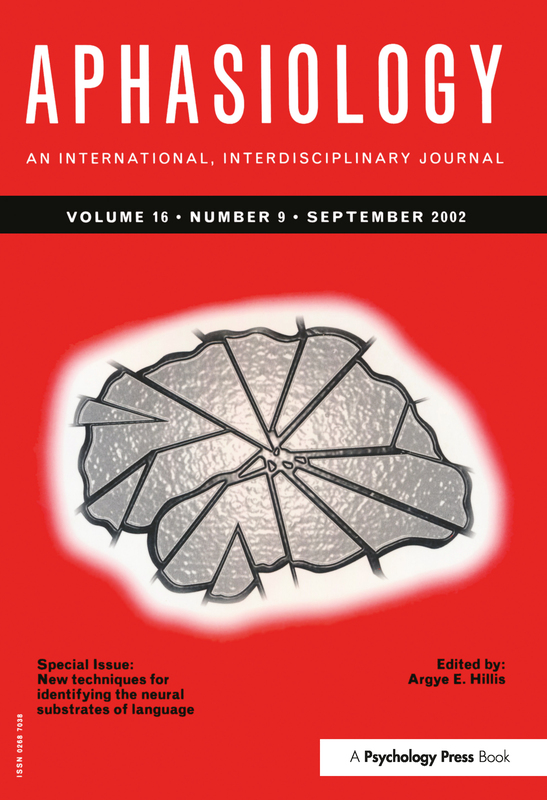 This issue includes studies demonstrating how advanced imaging techniques and new methods of recording brain function can reveal areas of the brain that are essential for specific language processes. The first two papers report use of arterial spin labelling (ASL) perfusion MRI to identify areas of poor blood flow (hypoperfusion) that have impaired neural function. The first paper describes a group study that demonstrates that severity of language impairment in aphasic patients is more strongly correlated with extent of hypoperfused tissue than with extent of infarct. The second paper is a detailed single case study of a patient with reading impairment. While conventional MRI in this patient did not reveal a lesion in regions of the brain that are thought to be crucial for reading (such as angular gyrus), ASL perfusion MRI revealed poor blood flow in the angular gyrus, which likely accounts for the patient's deficits. The third paper reports a group study that employed contrast bolus-tracking (Gadolinium) perfusion MRI to evaluate mechanisms of early aphasia recovery. Results indicate that rapid resolution of aphasia in acute stroke patients, over the first three days, occurs only in patients who show restored blood flow - reperfusion - to previously hypoperfused language cortex. These results are used as a springboard for discussing the types of interventions that are likely to be useful in various stages of aphasia recovery. The next paper illustrates how M Diffusion Tensor Imaging, which elegantly show discrete fibre tracts and lesions within them, can be used to answer questions about connections and disconnections in fibre pathways that underlie language and aphasia. The final paper discusses how new methods of analysing electrical activity from the cortex, recorded from implanted subdural grids, can reveal areas of the brain involved in American Sign Language versus spoken English. J. Fridriksson, A.L. Holland, B.M. Coull, E. Plante, T.P. Trouard, P. Beeson, Aphasia Severity: Association with Cerebral Perfusion and Diffusion. T. Love, D. Swinney, E. Wong, R. Buxton, Perfusion Imaging and Stroke: A More Sensitive Measure of the Brain Bases of Cognitive Deficits. A.E. Hillis, J. Heidler, Mechanisms of Early Aphasia Recovery. O.A. Selnes, P.B. Barker, P.C.M. van Zijl, A.E. Hillis, S. Mori, MR Diffusion Tensor Imaging Documented Arcuate Fasciculus Lesion in a Patient with Normal Repetition Performance. N.E. Crone, L. Hao, Functional Dynamics of Spoken and Signed Word Production: A Case Study Using Electrocorticographic Spectral Analysis.